how do I add quantities to my production sales form? I want to be able to select multiple of the same type of item. Yes this is possible.Simply add a quantity property to your product. 4. 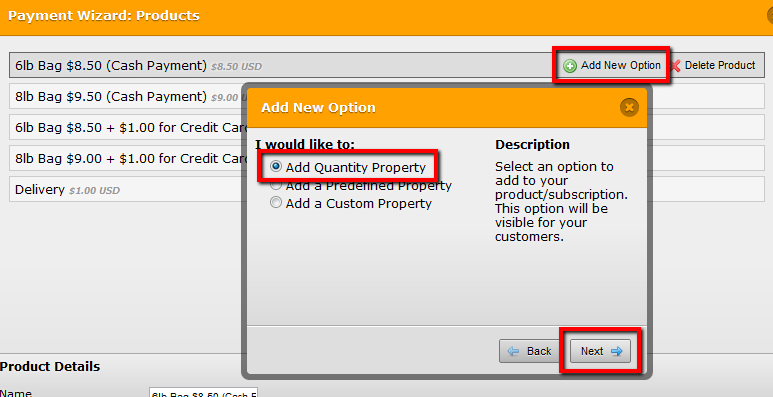 Click "Add New Option" then choose "Add Quantity Property"
5. Click Next then finish the wizard. Lets know if you need further assistance on this issue.